Specializing in medical, surgical, and cosmetic dermatology. We treat all manner of skin conditions, from acne to warts, and everything in between. We specialize in comprehensive skin cancer treatment, from simple biopsies to complex surgical repairs. Our cosmetic services are individually formulated to ensure the highest value for your aesthetic dollar. Treatment of excess fat or sagging skin with no downtime, no pain, and no surgery. Our physicians and medical staff go the extra mile and give the best service to every patient, every day. or call (612) 213-2370 to schedule at our St. Anthony Office. Our physicians are comprehensive dermatologists expertly trained in the care of all skin disease – from simple to complex conditions, for patients from young to old and offering treatment options from medical to surgical. If we can see it, we can see you. Clarus Dermatologists treat patients with diseases and conditions of the skin, hair, nails, and mucous membranes. 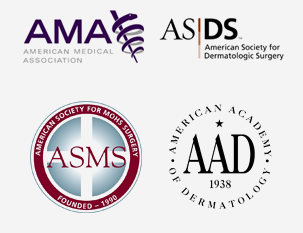 We are equally adept at diagnosing and treating acne and eczema as we are with dermatomyositis and bullous pemphigoid. Regardless of whether you require removal of a benign growth or excision and repair of a large facial skin cancer, Clarus Dermatology should be your first stop. We will discuss medical and surgical options for treatment so you can select the one that best fits your care goals. We provide comprehensive and caring cosmetic dermatology. Our treatment philosophy revolves around addressing your cosmetic concerns in the most thoughtful and cost-effective manner. In contrast to other practices, we won’t ‘sell’ you on treatments you don’t need or want. CLARUS DERMATOLOGY IS COMMITTED TO DELIVERING THE HIGHEST LEVEL OF COMPREHENSIVE DERMATOLOGY SERVICE TO ALL OF OUR PATIENTS. We provide high-value, evidence-based care using a team-based approach that tightly integrates with your primary care team. REAL CLARUS DERMATOLOGY PATIENT RESULTS. Before and after photos of medical, surgical, and cosmetic dermatology procedures performed at Clarus Dermatology. Dr. Shah is the best dermatologist I have had the pleasure to meet. As a professor of medical students, I have occasion to interact with hundreds of pre-medical professionals, and I have never met one as qualified and personable as Dr. Shah. I rarely take the time to make recommendations or write reviews, but I was so impressed with Clarus Dermatology that I have recommended him to every member of my family and several friends. My family members have had similarly impressive experiences. You will be impressed both with his personality and his competence! I recently underwent MOHS Micrographic Surgery at Dr Shah’s clinic in St Anthony MN. To say the least I was very nervous. I was somewhat apprehensive at first, but as I went through the procedure I found myself under very capable, professional, and courteous hands. Dr Shah took the time to explain the procedure, what I could expect, and why. The CMA in surgery was very supportive, always helpful in answering my many questions, as well as highly professional in her care giving, The assistant CMA was also very supportive of Dr Shah and the CMA when required. The receptionist was very welcoming, courteous, and professional. The office staff seemed to me to like a “family” in my interactions with them and their interactions with each other. Thank you so much for the opportunity to tell you how happy I was to find a Dermatologist to take care of my worry some spots so quickly. Dr Shah was very informative about my spots; and treated them with the latest equipment and his good care. Your nurse, Emily Behr, was very kind and informative. I would come back for more of your expert help with skin care. If anyone that I know in your area needs help I would NOT hesitate to refer them to your office. I was so happy to see Clarus come to St. Anthony. Everyone at the clinic is so nice and so supportive. They really care about you, and will take extra care to make you comfortable. When you call for an appointment they will get you scheduled within a few days. That didn’t happen at my previous Dermatologist. Dr. Shah is the best. Dr. Shah and his staff were very courteous, knowledgeable and professional. I am confident that I am receiving the latest procedures and technology available in the dermatology field. Dr. Shah made it his priority to treat my skin from a 360 view. 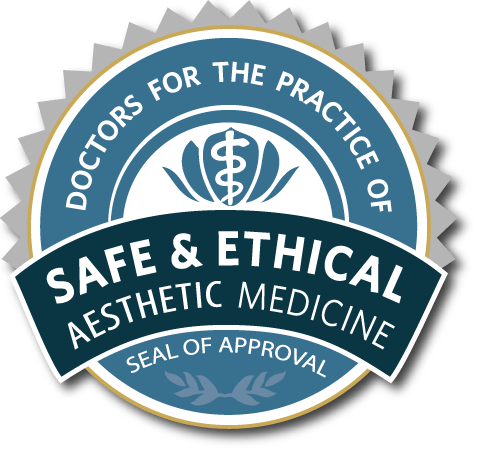 After a couple months, Dr. Shah resolved not only my facial skin issues but also educated me on other medical procedures and or medication choices available to me. Dr. Shah explained that some procedures and or medications could actually worsen my specific skin issues. I appreciated his patience with me. Our blog features company news, industry news, dermatology tips, dermatology information, and more. Read our latest posts below, or visit the blog for all posts.